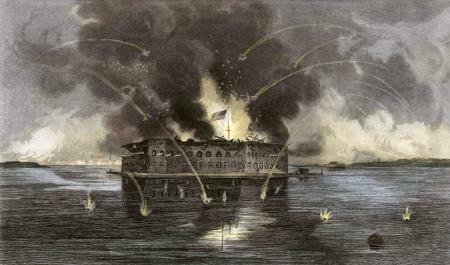 [SIEGE OF FORT SUMTER] This morning Major Anderson resumes firing on the Confederate forces. A Confederate hot shot sets fire to the officers' quarters and spreads to the barracks. 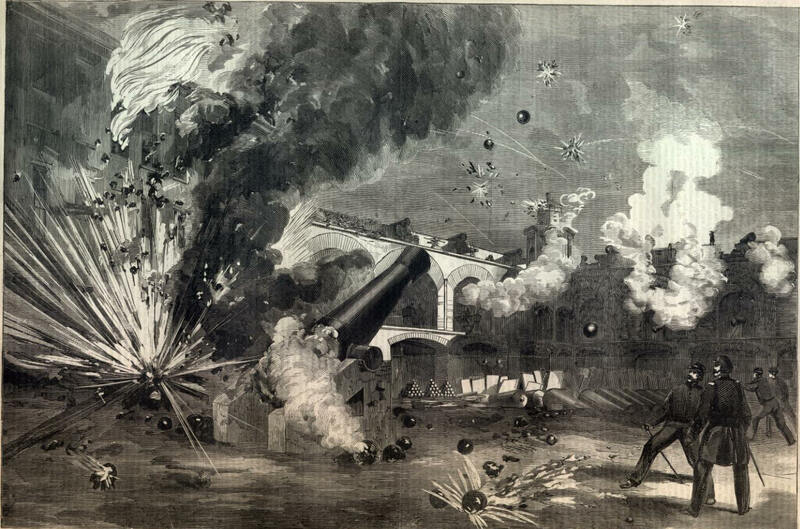 After a small amount of powder is obtained, Anderson closes the magazines to prevent an explosion. 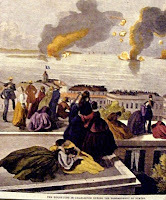 Seeing Fort Sumter on fire, Southron batteries double their fire. Flames leap above the parapets. Smoke in the casemates hinders the garrison from operating the guns. Firing is cut almost to nothing, but they continue as much as possible. With each shot, the Southrons mount their parapets and cheer their enemy's gallantry. 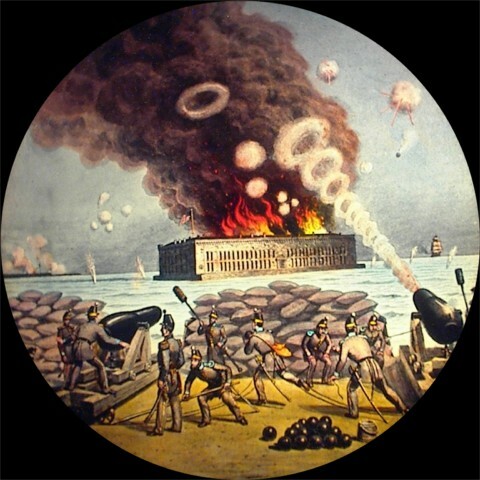 Finally Fort Sumter ceases fire. About 1:30pm, a Confederate shot brings down the flag. 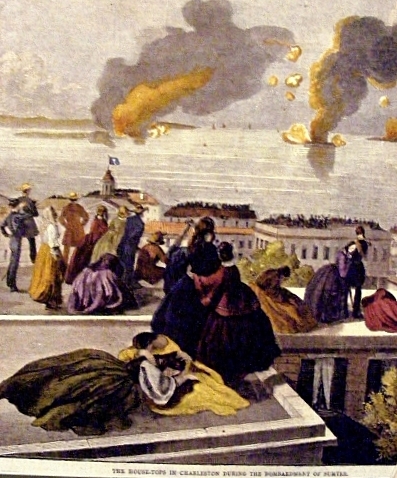 Then an explosion occurs on Fort Sumter. Soon afterwards, former US Senator, now Confederate Colonel Louis T. Wigfall with a flag of truce approaches Fort Sumter, crawls through an embrasure, and asks to speak with Major Anderson. The Cummings Point batteries have ceased firing, but Fort Moultrie continues. While Anderson is being notified of a visitor, Colonel Louis T. Wigfall suggests that they raise a white flag to stop Fort Moultrie's firing, but the men reply that only Major Anderson could do so. Then Wigfall waves his truce flag, but Fort Moultrie continues to fire. Major Anderson soon arrives and Wigfall offers him any terms of surrender he wants. Anderson, out of food and with an insufficient number of men to properly garrison the fort, concludes that further conflict is useless and that his men had done their best despite great difficulty.